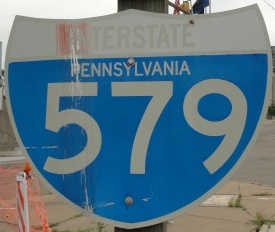 Interstate 579 is a short highway in Downtown Pittsburgh. 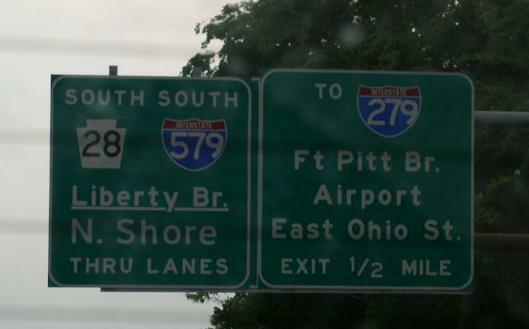 This runs from Interstate 279/Pennsylvania State Route 28 to Interstate 376; U.S. Rt. 22/30. While in Pennsylvania, I-579 is not multi-plexed. 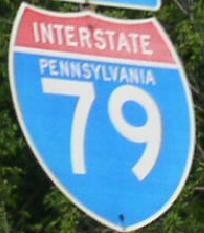 In Pennsylvania, Interstate 579 crosses the following interstates. Info on the parent route of I-79. 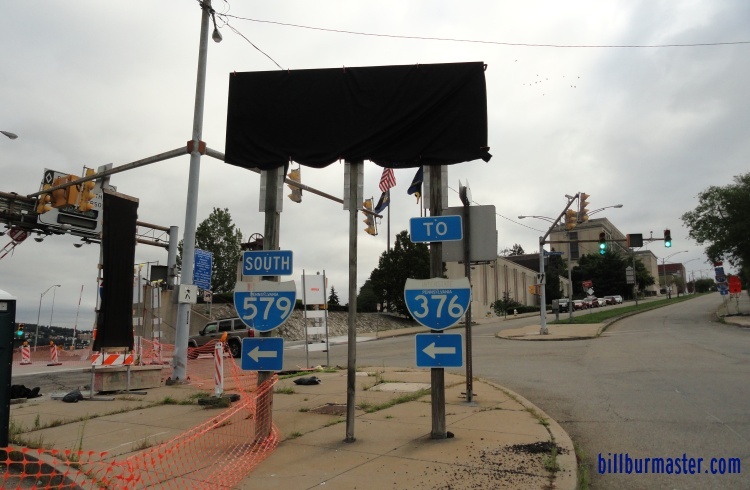 A BGS on SB PA St Rt 28. A set of guide markers in Pittsburgh.